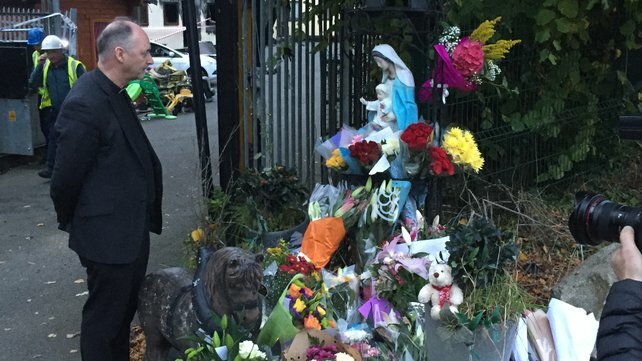 Prayers are being said in parishes across the archdiocese of Dublin and beyond today for the families of the five adults and five children who lost their lives in the fire at a halting site in Carrickmines in Dublin early on Saturday morning. In a statement, Archbishop Diarmuid Martin of Dublin expressed his sympathy to the Traveller families devastated by the fire and said the news was heart-breaking for all in the Traveller and wider local community. Archbishop Martin has asked that all those who died and those injured and their families be remembered in prayer at all Masses in the Archdiocese of Dublin today. Separately, the Catholic community in the Diocese of Elphin extended their deepest sympathy and prayers to members of the Travelling Community following the loss of so many lives in the fire at Glenamuc. “May God grant them eternal rest,” they prayed. Fr Derek Farrell, parish priest of the Parish of the Travelling community spent time with the bereaved families on Saturday. 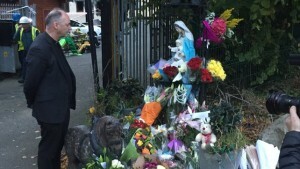 President Michael D Higgins on Saturday expressed his shock and sadness on learning of the fatal fire. “This is a most dreadful tragedy,” the President stated. In a statement, the President said, “My thoughts at this time are with the families and friends of those who have lost their lives and those who have been injured,” and he paid tribute to the “heroic efforts” of the emergency services. The Taoiseach, Enda Kenny, described the loss of life of ten lives as a result of the fire as an “unspeakable tragedy”. Mr Kenny said he wished to join President Higgins in expressing his sympathies on behalf of the Irish people to the relatives and friends of those who died. He said the deaths of a husband and wife, their four sons and baby daughter along with other relations was a horrific tragedy.